Hey Wulvers …. Wulverites? Wulverines (spelled with a “U” so we can’t be sued)? Whatever. It’s Evan Doody here with another tech-art blog post! This time, I’m going to shed some light on how we add depth to our environments, mainly through the use of parallax. This effect has been used to add depth in games since the beginning…of time. According to Wikipedia, “Parallax is a displacement or difference in the apparent position of an object viewed along two different lines of sight, and is measured by the angle or semi-angle of inclination between those two lines.” Long story short, objects in the background move slower than the camera, and foreground objects move at a rate faster than the camera. Sign up for updates to stand a chance! 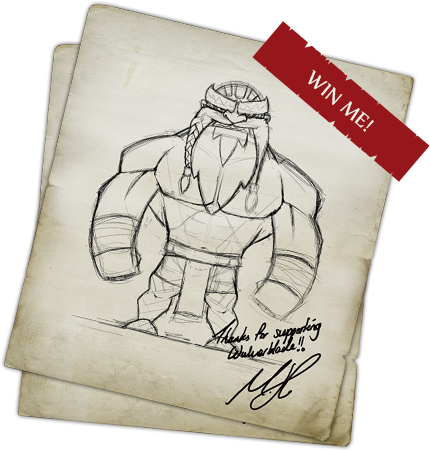 Win 1 of 2 hand signed art prints simply by signing up for the latest updates. Michael Heald, the artist and creative director of Fully Illustrated has teamed up with developers Brian Johnstone, Colin Doody, Evan Doody and Matthew Mikuszewski of Darkwind Media to bring the creative vision of Wulverblade to life. Win 1 of 2 hand signed art prints simply by signing up for the latest updates. And by signing up you’ll be the first to know what’s happening next! No spam, I promise! Winners will be announced at launch. All Rights Reserved Fully Illustrated 2019.